WASHINGTON ― A top Israeli general tasked with writing his country’s new defense policy said Israel must prepare for direct confrontation with Iran and is counting on U.S. support in order to prevail against the Islamic Republic. Speaking at the Washington Institute where he is a visiting military fellow, Golan, a former IDF deputy chief of staff, said he was focusing his time in the U.S. capital on drafting the nation’s first national defense policy document at the behest of Israeli Defense Minister Avigdor Liberman. Golan is vying with the IDF’s current deputy chief of staff to replace Lt. Gen. Gadi Eisenkot, the IDF’s top officer, who is expected to end his four-year term next year. In the first public preview of the policy document, Golan said Israel’s force buildup plan ― one of the four pillars of the new policy that includes operational perception, readiness and leadership ― would clearly prescribe the wherewithal to fight Iran. “This is new. We cannot allow ourselves not to prepare for direct confrontation with Iran,” he said. “We don’t have expeditionary forces. There is no Marine Corps in Israel … this is beyond our capabilities. So what should we have? That’s a big question. That’s the classified part,” he added. As Syrian regime forces and their Russian and Iranian-backed allies move methodically to push Islamic State militants and other opposition forces out of key areas along Syria’s borders with Iraq and Israel, the Israeli government has become increasingly anxious and public about its opposition to a permanent Iranian presence along both borders once Russia ends its active involvement in the Syrian civil war. Along the Syrian-Iraqi border, Israel is concerned about Iran or its Shiite proxy militias establishing an overland corridor that extends from the Arabian Gulf through Iraq and Syria and then onto Lebanon’s coast along the Mediterranean Sea, where the well-armed, Iranian-backed Hezbollah organization controls not only southern Lebanon, but policy decisions emanating from the Lebanese government in Beirut. And along Syria’s southwestern borders with Israel and Jordan, Israeli officials vow never to accept an Iranian presence on the Syrian side of the Israeli-annexed Golan Heights, nor to tolerate Iranian attempts to build air bases, seaports and other critical infrastructure in Syrian territory. To this end, Israeli Prime Minister Benjamin Netanyahu has met six times with Russian President Vladimir Putin in the past 17 months to press for an Iranian-free zone of influence in Syria. “Iran, by way of its Revolutionary Guards, is trying to create a new reality around us with air bases and naval bases in Syria and with Shi’ite militias comprised of thousands of mercenaries and precision weapon production facilities in Lebanon,” Liberman said in a published statement late last month. 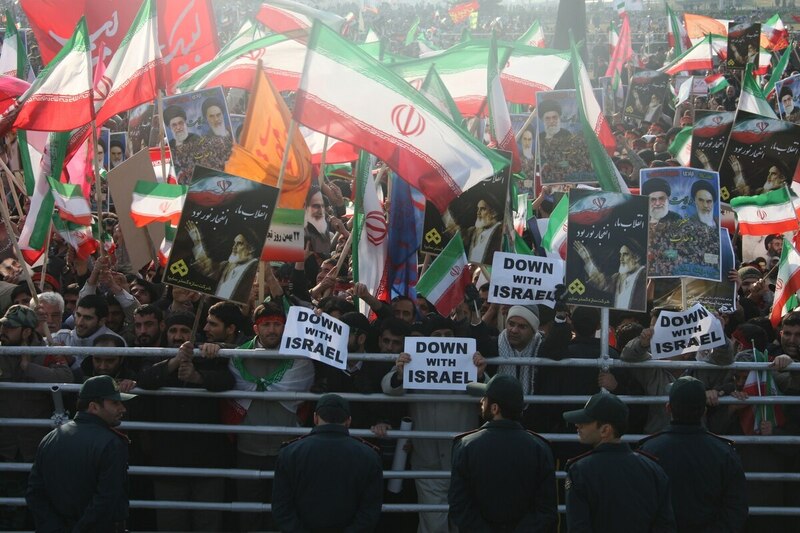 The IDF officer insisted that Israel can prevail over Iranian-backed enemies at its immediate borders and has no need for active assistance from America or anyone else. The country of Iran, he said, is a different story. Work on Israel’s new defense policy should be concluded in the coming weeks, after which it will be presented for review. The defense policy will serve as a guideline and justification for implementing an IDF strategy document published by Eisenkot in July 2016. The defense policy, he clarified, should be viewed as just part of Israel’s overall national security policy. With the exception of ad hoc amendments, an overarching, government-approved national security policy has not been updated since it was authored by Israel’s first prime minister, David Ben-Gurion, after Israel’s founding in 1948.